A constant stream of customer enquiries is a positive for your business, but it’s important to ensure that your staff’s ability to convert them isn’t limited by technology. Offering a great product or service is one thing, but the ability to efficiently and professionally handle customer calls is what could and should set your business apart. Find out how HSSWA, a rapidly growing labour hire and technical recruitment business based in Perth, Western Australia overcame this very challenge. Under their old setup, HSSWA split their communications between two channels – a single landline phone in the office and mobile phones for each staff member. Systems & Marketing Specialist Chris Eve says this presented a number of issues for the business. “Our old phone system was just a standard phone line – there really was no real system. We would just hand the phone over to somebody if a customer called the landline.” says Chris. Moving across to BizPhone for HSSWA was an easy decision to make. The transition required no change to their existing advertised phone number*. All HSSWA had to do was to switch out and update their hardware to handle calls more efficiently whilst making some big savings on their phone bill. “Our cost saving with BizPhone has been massive. $29.95/month, unlimited standard calls in Australia and an easy to use, nice bit of hardware that sits on your desk. The value is just great,” says Chris. HSSWA are taking advantage of BizPhone’s powerful features to add a new level of professionalism in the way they manage clients and new sales leads. “We have set up a 1300 number^ that comes through to the Auto Attendant, where it can be routed to the sales team, the reception or through to accounts,” says Chris. HSSWA are also using BizPhone’s optional mobile and desktop apps^ to take their office with them on-the-go. Staff are able to make and receive calls through their BizPhone landline numbers, even when they’re out of the office. All of these features and more can be managed through BizPhone’s easy-to-use online portal – meaning HSSWA don’t have to pay for an IT company to manage their phones for them. “BizPhone’s scalability and online portal has been a huge benefit. We don’t need to tell a third party ‘Oh, we need this diversion to go here, or we need this group going through these people, or we want this thing to ring this many times.’ Having the control of that in-house has been massive” says Chris. 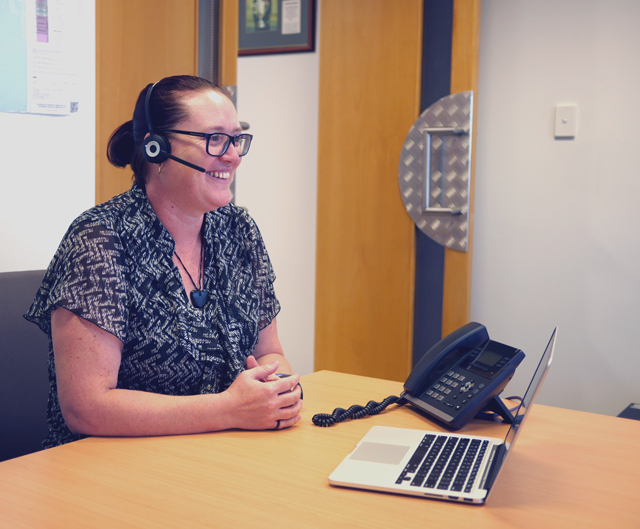 By moving to iiNet BizPhone, HSSWA have ensured their communications setup aligns with the professionalism and ingenuity they provide to their clients. With HSSWA expanding into new fields and their core business continuing to grow, BizPhone means HSSWA are able to move into the future, working smarter and harder. *Keeping your number may not be available for all carriers. ^1300 number and mobile & desktop apps available at additional cost.